Thank you to Mac Stone, wildlife conservation photographer extraordinaire for the shout out and recommendation of Garl's Coastal Kayaking as the place to go for Everglades tours! We love your work and appreciate the vote of confidence. 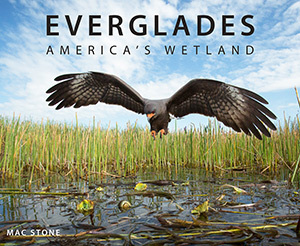 Please visit www.evergladesbook.com to order Mac's insightful and fantastic photo filled Everglades Book, you will absolutely love it. From the article: "What I would recommend for someone going for the first time is to hire a guide. You get that local knowledge, and certain guides will take you on a tour that doesn’t make you feel that your hand is being held—you’re still getting off the beaten trail. I have a guide in particular that I went out with all the time. His name is Garl Harold of Garl’s Coastal Kayaking. In my opinion, he is hands-down the best Everglades tour around. These guys who are trained and who have been doing it for a long time are some of the best ambassadors for the wetlands. They can take people there and give them memories that are going to last for a very long time."